Check out this post to read about the data collected from the digital instruction survey given at the beginning and end of last school year. During the 2016-2017 school year, teachers completed surveys regarding digital instruction at the beginning and end of the year. This post provides highlights of the results gathered from the those surveys, summarizing the most important details and discussing how the results will guide administrative leadership. For full results, read the report to Sylvania Schools administration. You can also see the slides of the highlight presentation given to the administrative cabinet. Over the course of the year, more teachers reported using technology to amplify or transform their instruction, as opposed to merely replacing it. We were interested in whether Chromebooks are being used for authentic instruction, and teachers reported an increase in that quality. This effect was more pronounced at the secondary level, which has access to more Chromebooks. 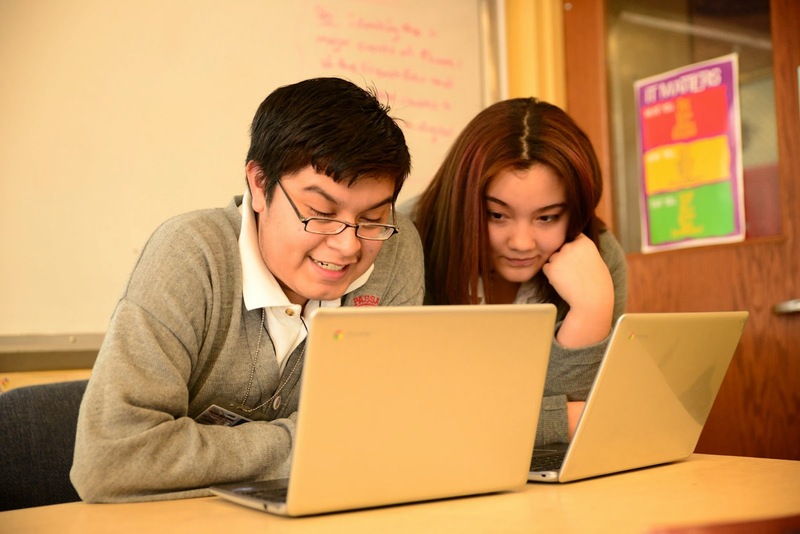 This reaffirms the district’s commitment to increasing Chromebook availability for all teachers and students. We believe that increased access to Chromebooks will lead to teachers being better able to use them for authentic instruction. In response to questions regarding 21st Century Skills, teachers reported which skills they focused on and which they wished to emphasize more in the year to come. Secondary teachers showed an increase in their focus on collaboration and an increase in the desire to focus on critical thinking. Elementary teachers reported an increase in the focus on critical thinking as well as an increased desire to focus on that same skill. Obviously, critical thinking, defined by the Partnership for 21st Century Skills as reasoning effectively, using systems thinking, making judgements and decisions, and solving problems, is the topmost priority for Sylvania teachers. These results will help provide direction for selecting and shaping content for professional development opportunities. As well as focusing on differentiated instruction, we will develop PD to address critical thinking wherever we can. Teachers are reporting growing confidence and frequency in using technology, from Smartboards to Google Drive to Chromebooks. But, they also report one major barrier to implementing technology more consistently: time. Teachers feels that the time needed to truly integrate technology in a transformative manner is limited. Basically, the interest and confidence is there, but the time is not. These results are pushing us to reassess our approaches to scheduling professional development to address time constraints. Expect to see professional development provided in ways that creatively address time constraints. Teachers are reporting that where support is clearly available, communicated, and needed, they use it. As reported above, though, lack of time often prevents access to this support. In addition, failures in communicating this support have resulted in teachers not using it. Finally, some teachers report that they want support that is more personalized to their specific needs and presents “ready-to-go material” for classroom use. These results, like those in the previous section, are pushing us to provide more diversity in professional development and instructional support. Over the year, we plan to roll out support services and professional development opportunities that are more flexible and usable for teachers. Over the course of its first year of implementation, Achieve3000 has drawn fire from a number of teachers uncomfortable with implementing it into core instruction. It has also drawn praise from many that use it as a regular support for differentiated instruction. The data from the survey show that teachers know how to use it, but they are split on whether they want to. Junior high teachers mostly want to use it, and high school teachers mostly don’t. The most likely explanation is supported by the data, which is the fact that Achieve3000 content is fairly sanitary. It shies away from serious controversy and real social issues, preferring to examine optimistic news stories. That fact makes the resource less attractive for teachers wanting to create authentic learning experiences for older students, but it does not trouble teachers of younger populations, who focus more on skills teaching. As we approach the end of the grant providing funding to Achieve3000, we will question whether a renewal of funding would result in a similar approach to secondary implementation or change our grade focus. One fact is clear and actionable, though: teachers are fond of leveled text support for differentiation. New professional development opportunities will therefore focus on a variety of such resources, including TweenTribune and Newsela. More data and reflection are available in the full report document. Feel free to examine it! Insight: Making Reading Individualization Happen Part 5-Wrapping It Up! Let’s end this discussion with some final thoughts and a whole bunch of resources! This post is the conclusion of a series exploring instruction through reading individualization . Check out the other posts as well! The growing reliance on 1:1 teaching models has led to an increase in demand for leveled reading content. Neither of these trends is showing any sign of diminishing in the future, so the availability of technology-leveled reading should become not only desirable, but ubiquitous. As this happens, schools and teachers will need to become increasingly aware of the best practices in instruction and professional development. If careful and consistent attention is given to the principles of individualization based on leveled readings, rather than the resources that provide them, then teachers can develop practices that will work with any resource providing leveled readings. Springboarding and stretching should become instructional practices as well known as scaffolding and formative assessment. Check out these Sylvania Digital Learning posts on the tools and tricks needed for individualized reading instruction! Author Alexander ClarksonPosted on March 8, 2016 October 18, 2016 Categories InsightsTags IndividualizationLeave a comment on Insight: Making Reading Individualization Happen Part 5-Wrapping It Up! Achieve3000, Newsela, TweenTribune. Check out the differences! This post is the continuation of a series exploring instruction through reading individualization. Check out the other posts as well! What are the big names and how do they differ? As of right now, three names should be on your radar for individualization. All provide leveled informational texts from published news articles. They are TweenTribune, Newsela, and Achieve3000. TweenTribune and Newsela are strongly similar. Both provide free access to leveled content at a handful of levels (TweenTribune provides four levels; Newsela provides five). Both allow a teacher to create a class, add students, assign articles and quizzes, and manage data. Importantly, neither of these resources automatically adjust the Lexile level based on reader characteristics. They do not include diagnostic testing to determine that level, so they cannot assign and adjust levels intelligently. Regardless of that, both resources provide strong value, especially for being free. TweenTribune provides an impressive library of lesson plans to support instruction. Newsela provides thematic text sets that could support a lesson or unit with a variety of readings. Even more importantly, Newsela is committed to providing current and unflinching coverage of serious issues in a sensitive manner. (For instance, the CEO emailed all teacher users to notify them of the intent to cover the Paris Terrorist Attacks of 2015 before they ran them in order to help teachers integrate the material with care.) Both TweenTribune and Newsela are professionally produced with easy navigation and administrative tools. They are exceptional resources for any teacher wishing to support literacy. Achieve3000 is a bit of a hyper-charged approach to the same goal, and it differs in significant ways. First of all, the system administers diagnostic testing to students and tracks their progress in questions connected to articles. With that data, the system decides which Lexile level to serve the student; the student cannot self-select. While this takes the power out of the student’s hands, it also decreases the confusion over which level the student should pursue. Second, Achieve serves articles at a much wider range of Lexile levels, everything from kindergarten to high school graduate. That enables teachers to embrace a wider diversity of student ability levels in one class. Third, Achieve offers a huge library of connected materials, from lesson plans to writing projects, to career connections, to next generation test preparation, and more. The system is rich with its amount of materials and data-gathering opportunities, which may lead to a steeper learning curve initially, but more power in the long run. Of course, all of that means that Achieve3000 offers no free version. Each student account costs a school district. One more important note on the differences among these resources. While Achieve leads the pack in offering powerful individualization resources and tools, it does not provide the quality of content Newsela achieves. Achieve’s content is at times older and less controversial, revealing the conservatism of the resource. For example, at the time I write this article, Newsela’s featured article covers Donald Trump’s victory in the South Carolina primary, a story only two days old; Achieve is featuring an article from six months ago exploring efforts to construct a space elevator. This difference can sometimes lead a teacher to leave Achieve in favor of Newsela or TweenTribune. But, of course, with access to all three of these resources, a teacher need not choose one exclusively. Rather, all three can be used to support the literacy instruction discussed above. The integration of literacy strategies into instruction across the curriculum is the vital goal. In the next post, we’ll conclude this discussion and provide helpful references for your own individualization work. Stick with us! Learn about the crucial role data plays in the differentiation equation! This post is a continuation of a series exploring instruction through reading individualization. Check out the other posts as well! Of course, individualization cannot happen unless data can be easily amassed and collated. The first task is rather easy; the second is not. Increasingly, technology is assisting us in understanding student strengths and weaknesses, but we must continue to recognize the need for effective data in making individualization possible. The student is assessed using a standards-aligned diagnostic test. The test produces data that shows the strengths and weaknesses of the student based on each content standard. The teacher reflects on that data to make instructional decisions for the student. The teacher administers individualization activities and experiences to the student based on the data. Student work and/or repeated diagnostic testing provide data updates. The teacher modifies student learning activities based on updated data. In theory, this will lead to a student addressing weaknesses in step 4 and that work will produce growth. Some difficulties may arise, though. Step 3 may be difficult because the data may be overwhelming. If a teacher cannot quickly and easily understand student strengths and weaknesses based on the data, he or she may give up on careful individualization. So, systems must be in place to produce data that teachers can easily understand and use. Step 4 may become overwhelming as well if the teacher feels he or she must create a vast amount of materials to meet the needs of individualization. Step 5 may include such frequent diagnostic testing that students become exhausted. Two solutions to the data burden present themselves: professional development and automation. Teachers may not know how to access data through technology, interpret that data, or connect that data to relevant learning activities. Professional development activities that provide instruction in the management of data and best practices in the use of data are essential to implementing differentiation through leveled readings. Automation is increasingly possible and incredibly attractive. Digital resources that automatically complete any of the above steps are extraordinarily useful. For instance, if a resource serves content for students based on diagnostic reports, this can help a teacher with step 4. Or, if a resource aligns diagnostic data to standards, that can ease the burden of step 3. In evaluating and shopping for individualization resources, attention to the level of automation is key for successful data management, and ultimately of implementation. In the next post, we’ll discuss the big three leveled reading resources: Achieve3000, Newsela, and Tween Tribune. Read on! Check out part 2 of the reading differentiation series: best practices! Learn all about the “How”! If asked how to individualize the reading experience for students, one might say that the teacher would provide individualized reading resources, which we will accurately refer to as leveled, so students can have access to learning in a way that respects their abilities and pushes them to grow. Great, but how? The answer lies in a few basic approaches, both addressing content standards for any subject as well as literacy skills. One approach is to use leveled material as a springboard for grade-level work. We’ll call it springboarding, and it works like this. Assign an article to students at individualized levels so each student reads the article at a challenge level that feels comfortable. Let’s say the article explored efforts to address the current disrepair of bridges in the United States. Each student reads that article and understands it because of its leveling. They all stand ready to proceed. They could then handle a grade-level appropriate discussion on the topic, a debate on a controversial issue connected to it, or any other grade-appropriate task. For instance, if the topic in a science class is the scientific method, all students could enter an activity on that method from a leveled article, leading to the completion of a worksheet-driven analysis with equal footing. The challenge of a reading outside of the student’s ability will not have hampered him from the successful completion of the activity. Springboarding could even lead to more reading experiences. If the student begins an activity with a leveled reading, the next step could require the student to continue reading about the same topic with unleveled reading. In other words, research. After reading the leveled selection, push the students to more reading on the same topic, but with grade-appropriate reading material, be that an unleveled news article, grade-level textbook material, or technical writing. The student will be working toward the content you wish them to address, but the springboarding with the leveled article at the outset will lead them sensitively into the material. Importantly, all students share an equal chance to tackle the material because of the grounding at their proficiency level. Springboarding calls to mind an important concept in reading individualization: stretching. This refers to the movement from proficiency level to grade level tasks. While we want to be sensitive to student ability levels and not sabotage our students’ opportunities to read, we also do not want them consistently reading at a level far below grade expectations. Look at it this way. If a high school freshman is reading at a sixth grade level, that freshman needs help is building literacy. While providing sixth-grade reading material will help the student understand what she reads, it will not help her when a grade-appropriate assessment comes along (such as the grade 9 ELA AIR test). In that case, the student must read material that is much more challenging than sixth grade. But, if she has only been reading texts leveled for her proficiency, she will not be prepared. That’s where stretching comes into play. This best practice stipulates that a student should receive some reading experiences at their grade level, but then be exposed to grade-appropriate material that complements the leveled text. Let’s take that freshman again. She could be involved in a stretch assignment if she read an article at her proficiency level on the Flint Water Crisis, but then read a grade-appropriate article exploring the same issue. Her comfortable grounding in the first, leveled article will assist her in tackling the more challenging vocabulary and density of the grade-appropriate article. In this way, the student has begun the reading experience in a place that develops comfort with the material before moving onto the more challenging grade-level text. It is certainly a more sensitive approach than throwing the unprepared student into text they cannot immediately handle, even if they are “supposed” to be able to. Newsela, which is discussed later in this series, has provided a resource that may be useful for stretching. They have leveled 18 (at the time of this writing) famous historical speeches. Using this series of speeches, a student could read at their level and then read the original to stretch their grasp of challenging vocabulary and sentence structure. Another approach is to use the individualized material for skill-building in literacy. English language arts include a host of reading skill standards, from identifying main idea to recognizing the importance of a text’s structure. But, other disciplines carry this burden as well, even if in a diminished form. If you examine the Ohio social studies content standards, you’ll see language for American history that discusses the evaluation of the credibility of a text source and the recognition of cause and effect relationships. Further, Ohio has instituted literacy and writing content standards for non-ELA courses that require non-ELA teachers to support such skills as analyzing text structure, recognizing author’s purpose, and comparing/contrasting messages from different media. (See pages 70-78 of this document.) All of these standards require teachers to embed literacy skills in their non-ELA classes. Any teacher wanting to support those literacy skills connected to their content area could build those skills through a individualized approach with leveled text resources. Let’s see how it works. Assign an article to students and target a skill such as text structure (e.g. cause and effect or argument), evidence gathering, or prompt/text-based writing. Use the leveled text as the foundation for an activity building that skill, such as a graphic organizer for text structure or evidence-based paragraph writing. Assigning a leveled text as the foundation for such skill instruction can help students as they focus on building the skill with a text that is comfortable for them. They can worry about the skill, not the text difficulty. Later, if you wish to continue to develop this skill for grade-appropriate texts, you can do so with greater confidence in the students’ abilities to apply them effectively. Variations on these three basic approaches are possible, but regardless of the approach taken, the teacher should see leveled texts as resources to meet standards in the classroom with two benefits: increased sensitivity to student ability and powerful implementation of literacy instruction. While text-to-speech is not necessarily what we mean when we discuss leveled reading material, it is so closely related that it should be discussed at the same time. Technology has become increasingly effective at reading texts to students. Chrome extensions like Read & Write for Google Chrome have made it simple for students to listen to what they read, instead of traditionally reading it. Of course, this may not be appropriate for ELA classes, where text reading is a necessary standard to meet, but it could be an appropriate approach to individualizing the reading experience in non-ELA classes, or even ELA lessons not requiring traditional reading skills for mastery. Students are becoming more aware and better trained in using a text-to-speech utility, and providing them with the option to listen as they’d like can give them the support they need when reading. And, of course, next generation assessments provide text-to-speech utilities, so training students in the tools prepares them for state tests, not the reverse. In the next post, we’ll discuss the question of data with reading individualization. Join us there! Insight: Making Reading Individualization Happen Part 1-What’s Reading Individualization? individualization. individualized. Individualize. Say the word enough times, and it seems to lose its meaning. Have we gotten to that point? Are we saying it so often and so automatically that we forget what it means? Maybe. If so, let’s reclaim that word and the 21st century teaching it provides by looking at individualized reading resources online. In its 2010 Education Technology Plan, the U.S. Department of Education defined individualization as “instruction that is paced to the learning needs of different learners. Learning goals are the same for all students, but students can progress through the material at different speeds according to their learning needs.” (12) I’ve italicized the important parts of that definition, leading to the basic fact that in an individualized environment, all students are supposed to reach the same goals, but get to those goals through learning materials and pacing that work for them as individuals. (This is but one part of an approach to improve learning that will also require an understanding of differentiation and personalization, but I’ll skip those for now to focus on this important term.) In an individualized environment, teachers know their students and meet them at their strengths and weaknesses, instead of promoting a “one size fits all” approach. So the next question is, If the content stays the same, what changes? The companies that do this leveling (and I’ll discuss them later) usually use Lexile ratings. Those ratings measure the challenge level of the text based on its structural difficulty (sentence length and complexity, paragraph length) and its vocabulary difficulty. That’s how the ideas of an article can remain largely intact, yet be explained in simpler language. It is important to realize that rewriting an article at a different level does not mean that ideas are necessarily simpler. So, just because an article about a school shooting is leveled for a third grade reading level does not mean it is appropriate content for a third grade student. In the next post, we’ll discuss clear teaching strategies for use with level readings. Check it out! Author Alexander ClarksonPosted on March 2, 2016 October 18, 2016 Categories InsightsTags Individualization1 Comment on Insight: Making Reading Individualization Happen Part 1-What’s Reading Individualization? Feeling overwhelmed? Relax! Just four tools form the foundation of digital teaching. Read this insight to see how you can assemble a 21st century class easily! At this year’s new teacher orientation, Dave Budas and I had the opportunity to introduce new Sylvania teachers to digital education in our schools. Standing in front of a group of eager new faces and discussing exciting new changes in digital education is one of the best parts of my job, but it carries one drawback. Overload. Dave and I can get a real head of steam going in our excitement, and when we do, I sometimes see the face of a lost teacher, struggling to keep up. In our presentation, I addressed that factor directly. Icons for the services were filling the screen behind me, covering each other faster and faster. We used the rhetorical trick to discuss the importance of teacher-to-teacher support. Digital overload. As we progress with digital instruction, more companies jump on board. 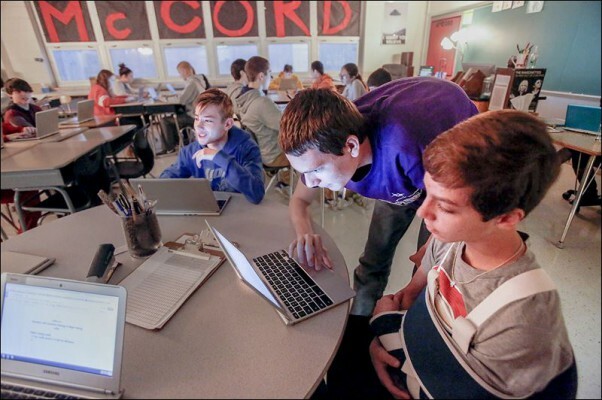 As teachers experiment, more cool strategies percolate throughout the district. But the more that happens, the more teachers not riding the crest of this tsunami risk being crushed by it, holding onto their three-ring binders and overhead projectors for dear life. Don’t worry! Help is here! Teachers will experiment with a wide variety of digital tools in the same way that they have always experimented with different teaching strategies. Some work. Others don’t. We keep the former and drop the latter. We constantly reflect on change and try to advance our game. But, through all that creative change and development, the 21st century teacher can rely on an essential digital toolbox of four tools.Yes, only four tools. If you have these in your toolbox, and you’re comfortable using them, then guess what? You’re a digital teacher. Teachers and students have always needed pens, pencils, paper, poster boards, crayons, markers, colored pencils, staplers, three-ring binders and three-hole punches, notebooks, and a variety of other office supplies. Their use? Productivity. These physical tools lead to the production of content, be that an essay or a presentation. Microsoft Office has long been the go-to for digital production, but in our new cloud-based world, Google Drive has taken over. Every student and teacher needs productivity tools, and Drive offers them through docs, forms, sheets, slides, and more (Check out Lucidpress in Drive for desktop publishing). If you can use Drive to produce and share work, you’ve laid the foundation of digital teaching. We need a gradebook, right? We need a filing cabinet for student records, yes? Pearson’s PowerSchool has served us well since its introduction three years ago. This powerful software keeps our grades and rosters, fills a huge number of administrative purposes, and communicates effectively with parents. The phone app is also effective. Students and parents may get lost in the sea of different digital tools, but they know and like PowerSchool. If you can use PowerSchool to record and access information, you’ve expanded your digital foundation. Teachers always seek to keep their parents informed about assignments and other developments in class. Traditionally, a class newsletter or completed agenda book served this purpose. And while the scheduling board in the classroom helped the student, it did not help the parent at home. These steps were essential, though, as they reached out beyond the classroom to keep students and parents on task after leaving for the day. Teachers that have adopted Remind have learned how powerful it is to communicate this information. Yes, secondary schools have all adopted the crucial homework matrix approach (another success for Google Drive), but that communication is passive, not active. Parents and students must go to it. Remind goes to them. With simple tools and low set-up, students and parents receive text alerts about anything going on in class. Remind is active communication that seeks the listener, instead of the other way around. And the buy-in from students and parents is amazing. If you can use an active communication tool like Remind, then you’re almost finished with your digital foundation. Many of you have not jumped on the Classroom bandwagon yet, even though more join every day. Let’s table the skepticism for a moment and talk about why it is an essential tool. We always need a space to post information, share resources, and talk. That space has always been this archaic thing called a classroom. Some are bright and happy; others are dark and focused. Some have windows; some have accordion walls. Regardless, every teacher needs a space for gathering the class, its students, resources, and all else. In digital teaching, a teacher needs a digital space for that as well. In Sylvania Schools days past, that has meant something like Moodle, Teacherweb, or My Big Campus. In other schools, students might use Schoology or Blackboard. Some teachers now might be using Google Sites or Weebly. Whichever you use, a digital teacher needs a digital classroom space. Google Classroom has quickly become the leader for Sylvania Schools for one reason: Google Drive. Drive is our essential set of productivity tools, and no online classroom enables those tools as well as Google Classroom. Even if you are sticking with your established online classroom, having one is the last essential tool for the digital teacher. If you have it, your foundation is complete. And that’s it. If you can deliver content, lead student work, remind them of their work, and record the results of their work, you’re teaching. If you can use the tools above, you’re teaching digitally. Learning these four essential tools from the digital toolbox is an easy task, and mastering them will follow quickly. And once that’s done, surprise! You’re a highly qualified digital teacher! We share documents, but have you ever thought about the power of digital collaboration? You should. It’s the most powerful change agent in the world, and digital is giving it a boost! Just this past summer, my wife returned to school. As she gathered her school materials, she grabbed her Chromebook in lieu of a notebook. At the end of the first day, she asked me to help her scan paper handouts for conversion into Google Docs format so she could use them digitally. While we both frowned in confusion over the archaic-looking handouts mixing type, handwriting, and tape-and-paste, those frowns quickly disappeared into concentration over digitized work. The story begins with a conversation in week two. My wife told me of a fellow student that had missed a day of class and asked for her copies of notes. Easy enough to share through Google Drive. But, on the next day of class, the fellow student asked if she could continue to use my wife’s notes because they were “better than hers.” I laughed, unsurprised, but she looked back with a bit of concern. “You’re not sure whether you should share them,” I noted. We talked about it for a while, and I offered that the twentysomething student may not have ever learned how to take notes, that she might have seen the notes as invaluable help as she worked at her own education. My wife may be providing her guidance she needed. Besides, I noted, creating a relationship of positive collaboration with another student based on this kind of sharing is the first step to mutual support, and that’s priceless in any endeavor, but especially education. My McCord students using Chromebooks to join their energies and ideas. My wife had encountered a practice of educational collaboration that emerged naturally in my classroom as my students and I grew into a paperless environment. We realized that the sharing of documents through Google Drive could easily lead to “note buddies,” partnerships between students to take notes during class discussion and lecture. One student would create a document, and both would take notes on it, perhaps dividing responsibilities on which types of notes to take. Two students could cover twice as much material in the same time, or they could cover the same amount of material but with less stress to keep up with my fast pace. The “note buddies” idea bloomed into collaboration through Google Drive in a variety of forms over the two years of paperless teaching I tried at McCord from 2013-2015. That was only four years after I attended the Ohio eTech conference where a session introduced teachers to a new Google application in beta testing called Google Docs. That February 2009 conference session followed two years after Google debuted Docs to its app users. It was the dawn of cloud collaboration, and after I spent a few minutes wrapping my head around the concept, I fell in love and have never fallen out. Cloud collaboration has quickly become a standard for data storage and productivity, with products like Google Drive, Dropbox, and Onedrive offering users the ability to access their data from any device at any time and share that data with any user they wish to collaborate. This approach to work has come to us in education in a small way, but as we adjust our instructional practices to the new paradigm, we need to take a look around. Cloud collaboration is not just a fun new toy. It is one of the most important change agents in our world. Let’s look at cloud collaboration across the globe. Ushahidi collects information from users’ experiences to help. 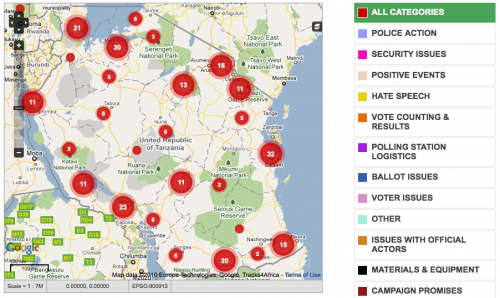 In 2007, Ushahidi, a new online service, collected reports of violence during the Kenyan political crisis and mapped them for users to access. The mapping came from user reports and kept citizens informed during the growing unrest. The same software was used to focus the energies of users to chart the individual events of the 2010 Haitian Earthquake and Deepwater Horizon Oil Disaster in the Gulf of Mexico and is still in use today for similar social and humanitarian projects. In 2005, the Katrina PeopleFinder Project led to a standardized software format for building user reports into a search tool to find survivors of disasters. The software helped create Google Person Finder, which is being used today in situations such as the recent Nepalese earthquake for users to access the information of others to find loved ones. On a less disaster-oriented note, we can look at reCaptcha. You know those pictures with words you need to type into a box before buying a concert ticket or signing up for a secure service? Those are Captchas. ReCaptcha uses those few seconds of effort you expend and transforms it into value. Now, when you type those words, you might actually be helping digitize old books that computers cannot decipher or annotate images for easy searching. Yes, you have probably participated in a global collaborative effort without even knowing it. Digital collaboration can organize and energize a revolution. But this does not even take into account the giants of cloud collaboration: Wikipedia and Facebook. The former has become the definitive democratic space for information collection and curation as tens of thousands of users contribute and edit data for free access. The latter enables each of us to do so much more than play Farmville or share memes. 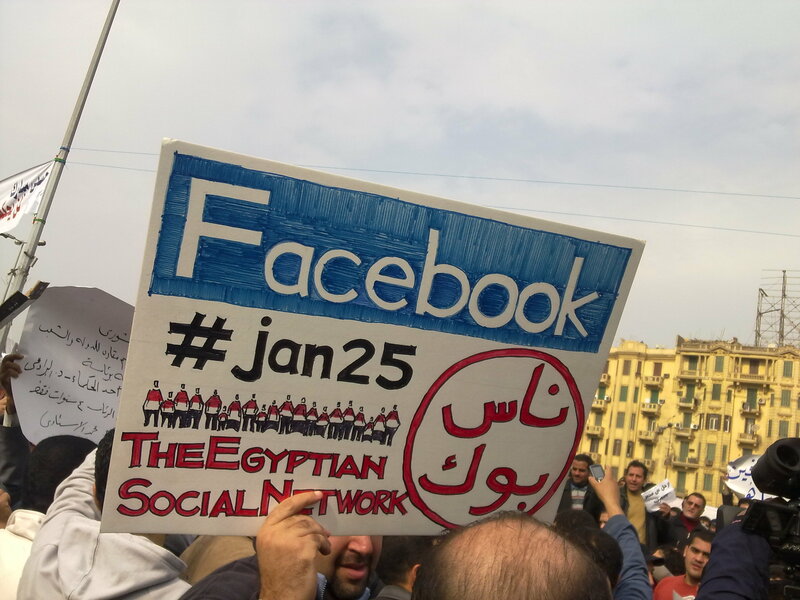 Facebook, and the social media revolution it has inspired (Twitter, Instagram, Vine . . .) is the engine that drives political participation in powerful ways. From organizing revolutionary events in Egypt during the Arab Spring to tipping the scales in the 2008 presidential election of Barack Obama, average citizens the world over have pooled their collective resources to become more powerful than ever before. Which brings me back to the classroom and our new BFF Google. Yes, our students could always collaborate on group projects within the classroom or within the school. You need look no further than Southview’s Dance for a Chance to see the non-digital possibilities of this collaboration. But what can our students do with cloud collaboration? What will we teachers do to guide them through that collaboration? Working digitally should always mean working together. Digital pen pals that include Google Hangouts so students can bridge gaps with peers from across the nation and world. Collaborative work groups across grade levels through Google Drive where older, expert students mentor younger learners in projects and assignments. Creating blogs with discussion pages through a service like Kidblog for students to connect with adult mentors on research projects. Active research online where students use Google Forms to survey users from a wider variety of locales. Students participating in discussion boards on a service like TED Ed, where they can discuss issues in a safe and managed environment with learners of diverse backgrounds. Competition among different classes, possibly in different buildings, using a game generator like Kahoot. An online campaign for an issue or a candidate where students create the candidate and debate the issues across social studies classes in different buildings, culminating with a teacher-managed election day. And those are just a few ideas joined to the old standbys of class peers using technology to collaborate on class assignments in real time at different locations. It doesn’t matter whether it’s one of these ideas or another as long as it unleashes the collaborative power of the Internet. 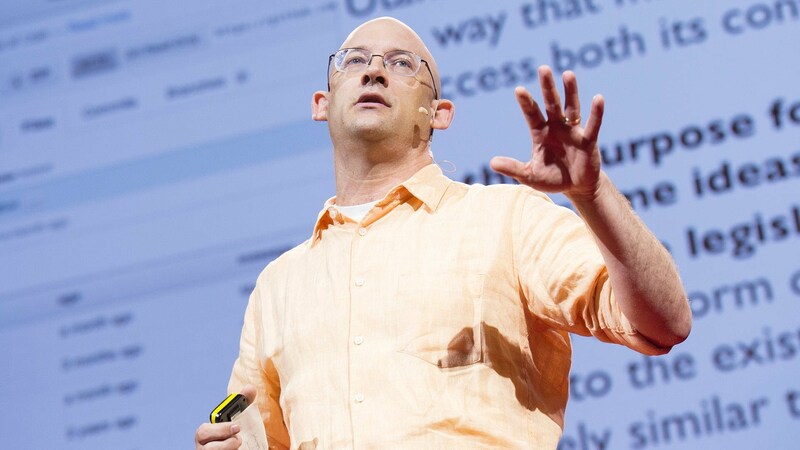 Check out Clay Shirky on TED. So when anyone, a teacher, an administrator, or my wife, asks me whether or not to share, my answer will always be yes. The world is joined, and when we embrace that fact, we will gain a power both in our classrooms and out that will transform our students into energized adults that make a difference.